Dr. Weinberg: Tuberculosis (TB) is a deadly disease. Once a leading killer in the United States, national, state, and local TB program efforts have dramatically reduced cases. With fewer cases occurring each year in the United States, health care providers might not consider TB when a patient has symptoms of TB disease. Every year, temporary visa holders come to the United States to work in a variety of tourist locations including amusement parks, ski lodges, national parks, and cultural or historical sites. TB testing is not required for persons entering the United States on a temporary visa. This report documents three cases of infectious TB disease among temporary workers in the tourism industry. Increased Tuberculosis awareness is needed among employers, health care providers, and public health officials. Response: Since the early 1900s, immigrants and refugees applying for a visa to come to the United States undergo a medical examination that includes tuberculosis (TB) screening. In 2007, CDC began implementing the new screening guidelines, which require people suspected of having TB to receive a much more sensitive sputum culture test to confirm TB to ensure that those individuals who do have TB receive treatment before they arrive in the United States. These requirements have now been completely rolled out to all countries with U.S.-bound immigrants and refugees. 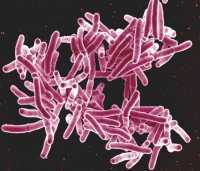 From 2007 through 2012, half of the 3.2 million arrivals of immigrants and refugees to the United States were screened for TB by the new screening guidelines. Out of more than 4,000 TB cases diagnosed by the new screening guidelines during this period, nearly 2,200 were smear-negative and culture positive. These cases would likely have been missed under the previous screening requirements. The results of this study showed that the updated overseas screening guidelines led to a roughly one-third decrease in the annual number of TB cases among foreign-born persons within their first year in the United States. Medical Research: What are the primary findings of this study and why are they important? Dr. Jain: Pulmonary granulomas are the hallmark of the Tuberculosis (TB) infection, yet it is not fully understood how these structures contribute to disease progression and treatment resistance. In this study, we applied our insight in tumor biology – gained over three decades – to explore and exploit the similarities between vasculature (blood vessel network) in solid cancerous tumors and TB pulmonary granulomas. We demonstrate for the first time that TB granulomas have abnormal vasculature. This abnormality provides a mechanism for the observation that TB granulomas are often hypoxic (have low oxygen conditions) and have differential distribution of anti-TB drugs. We showed that bevacizumab, a widely prescribed anti-VEGF antibody for cancer and eye diseases, is able to create more structurally and functionally normal granuloma vasculature and improve small molecule delivery. This study suggests that vasculature normalization in combination with anti-TB drugs has the potential to enhance treatment in patients with TB. Tuberculosis (TB) is a global scourge that is responsible for nearly 2 million deaths annually. Due to the inability of currently available treatment regimens to eradicate this devastating disease, it is clear that new treatment strategies are urgently needed. Unlike many researchers in the TB field, we do not seek to discover new therapeutics that target bacterial resistance; instead, we strive to overcome physiological resistance to treatment resulting from abnormalities in the granuloma vasculature that impair drug delivery and create hypoxia that impairs efficacy of drugs and immune system. By using an FDA-approved drug, our study has the potential to be rapidly translated into the clinic. Medical Research: Has any association previously been made between the vascular structure of TB granulomas and the challenges of treating TB – both the fact that treatment takes so long and the development of multidrug resistance? Dr. Jain: Our study is the first to implicate a specific facet of the granuloma – the abnormal vasculature – as a potential contributor to disease progression and treatment resistance. Granuloma hypoxia is known to negatively affect the local immune system while conferring resistance to some of the TB drugs. Our collaborators have shown that different anti-TB drugs have differential abilities to penetrate the granuloma structure, especially to the interior granuloma regions where the TB bacteria are found in greatest numbers. Our study is the first to provide evidence that by modulating the granuloma vasculature, hypoxia can be alleviated and drug delivery can be improved. Dr. Gupta: Verapamil is an efflux pump inhibitor drug that has been used to treat hypertension and other cardiac conditions in patients. Adding verapamil to standard tuberculosis (TB) treatment accelerates both the killing activity of the regimen in mouse model. We have recently shown in vitro that supplementing bedaquiline with verapamil profoundly decreases the MIC of bedaquiline in the wild type strain M. tuberculosis H37Rv, and also in drug-susceptible and drug-resistant clinical isolates. The MIC of another anti-mycobacterial drug clofazimine against M. tuberculosis H37Rv also decreased significantly in the presence of verapamil. Bedaquiline is the first drug to be approved by the USFDA in last forty years for the treatment of multidrug-resistant tuberculosis (MDR-TB). Bedaquiline usage in patients presents several safety concerns including increased mortality and hepatic-related adverse drug reactions. Bedaquiline also prolongs the QT interval in patients, which is a measure of the time between the start of the Q wave and the end of the T wave in the heart’s electrical cycle. In a phase 2 trial involving patients with advanced MDR-TB, a significantly higher number of participants receiving bedaquiline died than those receiving placebo although the causes of mortality were not directly attributable to the drug. Thus strategies to reduce the human dose of bedaquiline while retaining antibacterial activity may be valuable. We hypothesized verapamil may potentiate the killing of M. tuberculosis by bedaquiline and accelerate clearance of mycobacteria that in an in vivo infection model. Shortening treatment regimens and reducing the required doses may be a promising strategy to reduce the incidence of bedaquiline-related adverse effects and thereby improve MDR-TB treatment outcomes. In this study, we investigated the effect of verapamil on the activity of bedaquiline against M. tuberculosis in a mouse model of TB infection. In addition to investigating the effects of verapamil on the full human bioequivalent dose of bedaquiline (25 mg/kg), we also used a sub-optimal dose of bedaquiline (12.5 mg/kg) daily, with or without verapamil to test if verapamil may potentiate the activity of bedaquiline. We have also determined if verapamil can protect bedaquiline monotherapy from the development of resistance. Dr. Dannemann : The final investigational 120-week results from the TMC207-C208 Phase 2 study demonstrated that bedaquiline (SIRTURO®) showed nearly twice an many patients in the bedaquiline group as in the placebo group were cured on the basis of the World Health Organization (WHO) outcome definitions for Multidrug-Resistant Tuberculosis which was statistically significant (38 of 66 patients [58%] and 21 of 66 patients [32%] respectively; p = 0.003). 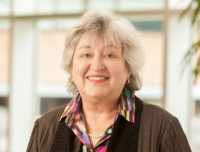 Dr. Dodd: We found that over 650,000 children under the age of 15 developed tuberculosis in the 22 highest burden countries in 2010, with around 7.6 million becoming infected with the bacillus and more than 50 million harboring latent infection. Our work points to a much larger gap between notifications and incidence in children compared to adults.